Blondie, as they always say, is a band. And far more than that. From 1976 to 1982Â Â Deborah 'Debbie' Harry, her partner Chris Stein, Clem Burke, Jimmy Destri and Gary Valentine (there would be occasional line-up alterations) pioneered a pathway that began in New York's new wave and punk environs. With each passing album they expanded their horizons, sensed the beginnings of rap and embryonic hip hop and finally emerged as an act that could swing from polished disco to the highest grade of pure pop. On albums like Plastic Letters, Parallel Lines and Eat to the Beat, Harry got inside the self-conscious facade of pop and inhabited the world of the urban heroines she sang about. She was the era's 'It' girl, the poster babe who gave the group their name when the others noticed passing truckers hailing her 'Hey Blondie!' But she was also beyond pin-up. Harry was an inspiration - to Madonna for one - because she managed to translate a New York club phenomenon for those who'd never even set foot in that city and take it to the wider world. In fact initially Blondie were more successful in Europe and Australia than their hometown where their status was jealously guarded. Yet they couldn't be tied down: they grew up with a love for pop history and wanted to make their own. Their singles were trailblazers; slices of pure plastic passion, and the rest of the media fell into place. A savvy bunch, they sold a lot of albums without ever selling out or insulting their audience. For that they gained kudos and much affection and more significantly now their music lives on. Blondie came out of the legendary NYC scene that centred on clubs in the Bowery and uptown, from CBGBs to Max's Kansas City and the Mercer Arts Centre. Their roots lie in The Stilettos who operated in a post-New York Dolls environment, the Manhattan bar rock equivalent of British pub rock. Stein and Harry (she'd played in a folk group called The Wind in the Willows in the very late sixties) named themselves Angel and the Snakes but once that became Blondie the rest fell into place. 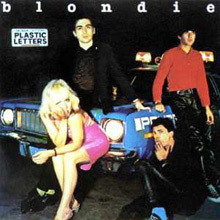 The debut album, Blondie, was on independent Private Stock. Not successful at first Blondie were snapped up by Chrysalis who reactivated the disc and put out a revised single - 'Rip Her To Shreds' and 'X-Offender' - whose video (the promo format was in its infancy) was a hit Down Under. The British new wave scene makers then picked up on Blondie when it was noticed their producers were Richard Gottehrer, Alan Betrock and Craig Leon who all had garage rock credibility. Meanwhile the radio picked up on strong tracks like 'Man Overboard' and 'In The Flesh', both featuring vocal back ups from Ellie Greenwich, the woman who discovered Neil Diamond and wrote classics hits for Phil Spector's girl groups. In that sense Blondie covered the bases. Evidently they understood how to give past sounds and production values a modern twist and that made them a more reassuring proposition. Second album Plastic Letters (1978) was an instant hit and after hitting the UK's top ten it would eventually go Platinum. Not hard to see why. Pop genius shone throughout. Notable songs include 'Denis', a gender bending switch on the original Denise by Randy and the Rainbows, and '(I'm Always Touched by Your) Presence Dear' (a parting gift from bassist Valentine) whose old school title couldn't disguise a number that pointed to the band's dance future. Meanwhile the lesser-known cuts like the headline steal 'Youth Nabbed As Sniper' and 'Contact in Red Square' showed Stein and Destri adopting a cut-up lyrical method. The remaster is especially worthwhile since it includes the first known demo of future smash 'Heart of Glass' from 1975, even then known as 'The Disco Song'. America had to give and duly crumbled when the magnificent Parallel Lines was released in autumn 1978. Having bid Gottehrer a tearful adieu Blondie went for broke, hiring the British producer Mike Chapman to give them a makeover and a glossy, radio friendly pop sheen. The results were staggering. Hooks to die for and a knowing immersion in classic pop culture now replaced the last vestiges of art rock. 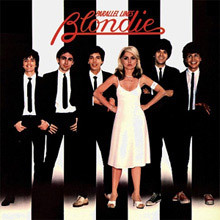 The album sold 20 million copies and contains a string of hits â€“ 'Picture This', 'Hanging on the Telephone', 'Heart of Glass', 'Sunday Girl' and 'One Way or Another'. For anyone else this would be a Greatest Hits. It remains a five star event and is generally considered to be the moment when the USA finally 'got' the whole new wave thing. In that regard Blondie opened the doors for an entire invasion. It's worth noting too that 'Heart of Glass' signalled another sea change since it adapted rhythms from Kraftwerk and the Bee Gees long before anyone else would. The Deluxe Collector's Edition includes Harry's French language vamp on 'Sunday Girl', excellent chanson, and stellar club remixes of which the dance floor take on 'Fade Away' and 'Radiate' makes it worth the price of admission alone. A seriously recommended investment. Blondie retained what some called their romantic fatalism for the equally successful Eat to the Beat (1979), spending a year on the US charts and hitting number one in Britain. Chapman now moved Blondie to The Power Plant in New York and was encouraged by Stein's decision to incorporate the group towards reggae, funk and rap. The hits keep on coming: 'Dreaming', 'Union City Blue', 'The Hardest Part', 'Call Me' and 'Atomic'. Resistance was futile. Blondie had gone from club to cult to underground to word of mouth and were now the mainstream's new big thing. The songs weren't just great they had back-stories. 'Atomic' was a weird Spaghetti Western hybrid and 'Call Me' arrived via Harry's collaboration with Giorgio Moroder on an idea he had called Man Machine. The finished song was used as the main title piece in the hit movie American Gigolo and became the group's biggest ever single. 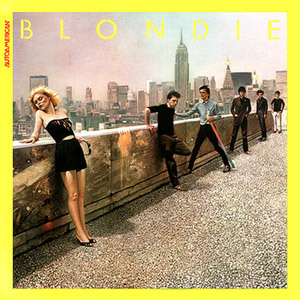 Autoamerican (1980, recorded in Los Angeles) is another very cool diversion - Blondie's 'serious' album. Themes including car culture and the polarity of the East and West Coast informed some material but there's nothing tough to listen to, only more ravishing beauty in the shape of their reggae cover, 'The Tide is High', and the funk rock, jazz and rap of 'Rapture', a real ear opener then and now. The lovely sax break is from Tom Scott and that's Turtles Howard Kaylan and Mark Volman on 'T-Birds', written by Englishman Nigel Harrison (a recent recruit) and Debbie wearing her Californian hat. 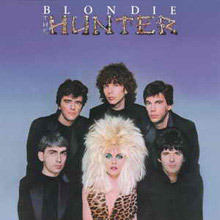 The Hunter (1982) would be Blondie's last album of new material for five years and is loosely a concept. Although it marked the end of Blondie's first era as a global pop fixture The Hunter is studded with great songs, albeit with an atmosphere of change in the ranks. 'For Your Eyes Only' was pitched as the theme song for the Bond film but it was the calypso tinged 'Island of Lost Souls' and the stark 'War Child', written about unrest in the Middle East and Cambodia that got the airplay. Other goodies are hidden within; there's a fabulous version of Smokey Robinson's'The Hunter Gets Captured by the Game' and some of Harry's most refined lyricism on 'Orchid Club', 'Dragonfly' and the Beatles lament, 'English Boys', written with John Lennon's death in mind. Aside from the usual bonus cuts on the main body of albums there are terrific collections to sample. Atomic: The Very Best Of Blondie, Singles Collection: 1977 - 1982 and Desperately Seeking Susan: The Original Blondie Hits, are invaluable sources for commercial material, fantastic oddities and rare items. Blondie at the BBC offers great radio sessions. The live albums Live: Philadelphia 1978/Dallas 1980 and Picture This Live capture this extraordinary group at the height of their powers. Suffice to say that the best of Blondie never fades away. Pop music doesn't get any better than this lot. Their legacy is in the groove. The second album from Blondie produced by Richard Gottehrer released in 1978. Originally released on the Private Stock label which was later bought out by Chrysalis. The biggest hit from the album was ‘Denis', a cover of the Randy and the Rainbows 1963 hit – called ‘Denise’. This track reached No 2 in the UK – it was followed up by '(I’m Always Touched by your) Presence Dear’ which reached no 10 in the UK. These tracks broke the band in Europe and set them up for a long and successful career. This album is rawer and rougher round the edges from their first and reflects their punk beginnings. New Wave at its best. Blondie turned to British pop producer Mike Chapman for their third album, on which they abandoned any pretensions to new wave legitimacy (just in time, given the decline of the new wave) and emerged as a pure pop band. But it wasn't just Chapman that made Parallel Lines Blondie's best album; it was the band's own songwriting, including Deborah Harry, Chris Stein, and James Destri's "Picture This," and Harry and Stein's "Heart of Glass," and Harry and new bass player Nigel Harrison's "One Way or Another," plus two contributions from nonbandmember Jack Lee, "Will Anything Happen?" and "Hanging on the Telephone." 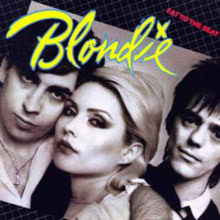 That was enough to give Blondie a number one on both sides of the Atlantic with "Heart of Glass" and three more U.K. hits, but what impresses is the album's depth and consistency -- album tracks like "Fade Away and Radiate" and "Just Go Away" are as impressive as the songs pulled for singles. The result is state-of-the-art pop/rock circa 1978, with Harry's tough-girl glamour setting the pattern that would be exploited over the next decade by a host of successors led by Madonna. The fourth album by Blondie originally released in 1979 and produced by Mike Chapman. An album with a number of different styles including pop, reggae, punk and even a lullaby. With three brilliant single releases coming from this album – ‘Dreaming’ (UK No 2), ‘Union City Blue’ and ‘Atomic’ (No 1 in the UK), this album has been remastered in 2001. 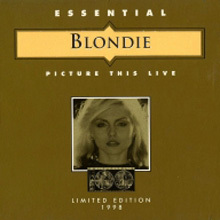 One reviewer as described this album as “awesome” and says “this is most Blondie’s fans favourite album”. It also went to No 1 in the UK album charts on release. The basic Blondie sextet was augmented, or replaced, by numerous session musicians (including lots of uncredited horn and string players) for the group's fifth album, Autoamerican, on which they continued to expand their stylistic range, with greater success, at least on certain tracks, than they had on Eat to the Beat. A cover of Jamaican group the Paragons' "The Tide Is High," released in advance of the album, became a gold-selling number one single, as did the rap pastiche "Rapture," but, despite their presence, the album stalled in the lower half of the Top Ten and spent fewer weeks in the charts than either of its predecessors. One reason for that, admittedly, was that Chrysalis Records pulled promotion of the disc in favor of pushing lead singer Debbie Harry's debut solo album, KooKoo, not even bothering to release a third single after scoring two chart-topping hits. But then, it's hard to imagine what that third single could have been on an album that leads off with a pretentious string-filled instrumental ("Europa"), and also finds Harry crooning ersatz '20s pop on "Here's Looking at You" and tackling Broadway show music in a cover of "Follow Me" from Camelot. The 6th studio album from Blondie released in 1982 and produced by Mike Chapman. This album was conceived as a concept album on the theme of searching, pursuing and hunting. The tracks all have this in mind – ‘Dragonfly’ – a science fiction theme and about race in space – ‘The Beast’ deals with Deborah Harry’s life in the public spotlight – ‘War Child’ mentions conflicts in Cambodia and the Middle East. Two singles were released from the album – ‘Island of Lost Souls’ and ‘War Child’. The Hunter was not critically acclaimed at the time but over the years has become a must purchase for all Blondie fans. The Platinum Collection reigns as Blondie's finest compilation, outshining The Best of Blondie in overall quality and quantity. This fine retrospective covers every U.S. and U.K. A- and B-side on two discs while adding unreleased material and club remixes as bonuses at the finale. Opening with the poppy, yet venomous, first U.K. single, "X Offender," disc one reveals Blondie's liveliest and most ambitious efforts as they merge their punk, reggae, and roots rock influences into what would soon be considered new wave. While Blondie is generally known for their charting singles, the spectacular B-sides/album tracks, including the dazzling space rocker "Fade Away and Radiate" and the punk/synth pop hybrid "Contact in Red Square," are equally essential. Disc two recalls some of the band's most accessible singles including "The Tide Is High," "Call Me," and "Rapture," which became the first Top Ten single to contain a rap vocal. Despite the excellent material represented so far, the second half unfortunately fails to sustain the momentum. Marked by selections from Blondie's 1982 swan song The Hunter, four 1975 demos, and two 1994 remixes, the rest of the disc suffers from poor sequencing and inferior selections. The terrible, unnecessary remixes of "Atomic" and "Rapture" and ho-hum demos would only appeal to collectors. 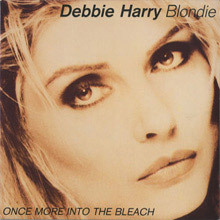 Nonetheless, the demo "Once I Had a Love" would eventually receive a disco makeover and evolve into the international chart-topper "Heart of Glass" three years later. 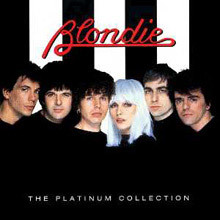 Ultimately, fans may prefer the distinguished single edits for "Heart of Glass" and "The Tide Is High" over the album versions, and yet despite all revealed shortcomings, The Platinum Collection provides more music per dollar spent compared to other Blondie releases. In addition, the compilation's colorful liner notes include insightful song commentary by most of Blondie, single and album information, and a descriptive family tree. Most new wave bands tended to have short flashes of brilliance. Not Blondie. They were a great singles band, but they weren't limited to that -- they also made strong albums and, as the rarities collection Blonde & Beyond illustrates, they had a lot of terrific material that never made it on the official records. Like most odds-and-ends collections, Blonde &amp; Beyond is a little scattershot, which is only appropriate for a compilation comprised of demos, B-sides, live tracks, and foreign-language versions of familiar hits. Still, the treasures make the digging worthwhile, since the keepers here -- including early versions of "Denis" and "X Offender," "Poets Problem," "Underground Girl," and a live version of "Bang a Gong (Get It On)" -- and rank among the group's very best efforts and are certainly worth the time of any true fan. To celebrate their 100th birthday, EMI Records released a series of limited-edition albums from some of their most popular artists. Among those was Picture This Live, a 15-track collection of previously unreleased live versions of such Blondie staples as "Dreaming," "Hanging on the Telephone," "Sunday Girl," "X Offender," "Denis," "Fade Away & Radiate," "One Way or Another," and "Heart of Glass." Since a compilation like this was designed to appeal to collectors, EMI added some rarities -- versions of "You Look Good in Blue," "11:59," and a medley of "Bang a Gong/Funtime". Though Debbie Harry has generally worked in a pop/rock vein, she's had her share of exposure in dance clubs thanks to hits like "Heart of Glass," "Rapture," and the Chic-produced "Backfired." In 1988 -- a few years after she had left Chrysalis -- the label set out to exploit her club/dance appeal with Once More Into the Bleach, a generally decent, though not exceptional, collection of remixes. Those singles were obvious choices for this CD, which ranges from Blondie classics (including "Call Me," "Sunday Girl," and "The Tide Is High") to such solo material as "Feel the Spin" and the humorous "French Kissin' in the USA." The most interesting remixes here include a house-influenced version of "Backfired," and a Europop recasting of "Denis." This collection from 2010 features 2 CDs of performances for the BBC between the period of 1978 to 1980. A live performance from the Apollo Theatre, Glasgow (New Years Eve 1979) plus a bonus DVD of 11 songs from that show as well as 8 TV performances from 1978/79 from The Old Grey Whistle Test and Top of the Pops. The live performances on these discs shows what a great band Blondie were live and captured them at their energetic best. As one reviewer has pointed out: “this is a great little package and way overdue”.